If you are considering a hair transplant procedure it is important to choose a hair loss clinic and surgeon with the right credentials. At Birmingham Dermatology Clinic all of our hair transplants and cosmetic treatments are conducted by Dr Camilo Diaz, who has considerable experience in dermatology, dermatologic surgery and hair restoration. Dr Diaz is an experienced senior consultant dermatologist, having completed his general medical training in 1990, and as a Specialist Registrar in Dermatology in the West Midlands Dermatology Specialist Training rotation in 2000. Dr Diaz prides himself in being approachable and easy going. His surgical skills, and the advanced technology offered at his clinic, are well recognised in the region, as are the high standards of care offered to all of his patients. Apart from all aspects of General Dermatology, Dr Diaz has pursued a special interest in Dermatologic Surgery, particularly non-invasive cosmetic procedures such as Botox and dermal fillers. His broad expertise and extensive clientele has allowed him to do more than 2500 combined aesthetic treatments. 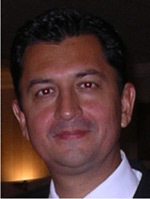 Dr Diaz routinely undertakes complex skin reconstructions using the latest techniques after removing skin cancers with great cosmetic results. In the last few years, Dr Diaz has very successfully entered the exciting field of hair restoration surgery. He is the only qualified consultant dermatologist in the United Kingdom to have received extensive formal training in the United States of America and thus brings cutting edge technology from some of the top hair restoration surgeons in the world to his clinic in Birmingham. Dr Diaz has trained many junior dermatologists and in his spare time enjoys teaching medical students from Birmingham University. To find out more about Dr Camilo Diaz – Consultant Dermatologist /hair transplant surgeon please contact the Birmingham Dermatology Clinic on 0800 0443917.